Morning at the Suffrage Wagon Cafe on Vimeo. 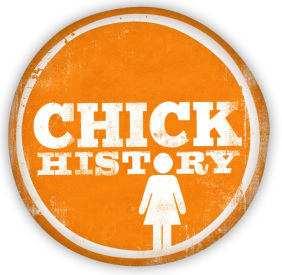 We’re taking a look at “Chick History”. It is in its fifth year of publishing women’s history features. Rebecca Price conducted 50 interviews and now is spreading the word of the #HerStoryPodcast series. Fifty women were asked to share the historical story of someone who inspired them. Edna Buckman Kearns was one of these women. The podcast series spans two thousand years of women’s history. Since its release, the podcasts have been downloaded 30,000 times. That’s quite an accomplishment. IN OTHER NEWS: Edna Kearns is a featured suffrage activist in an exhibit at the Suffolk County Historical Society in Riverhead, NY (Long Island). The exhibit opened in March, Women’s History Month, and it will continue through the end of 2017, the state’s suffrage centennial. 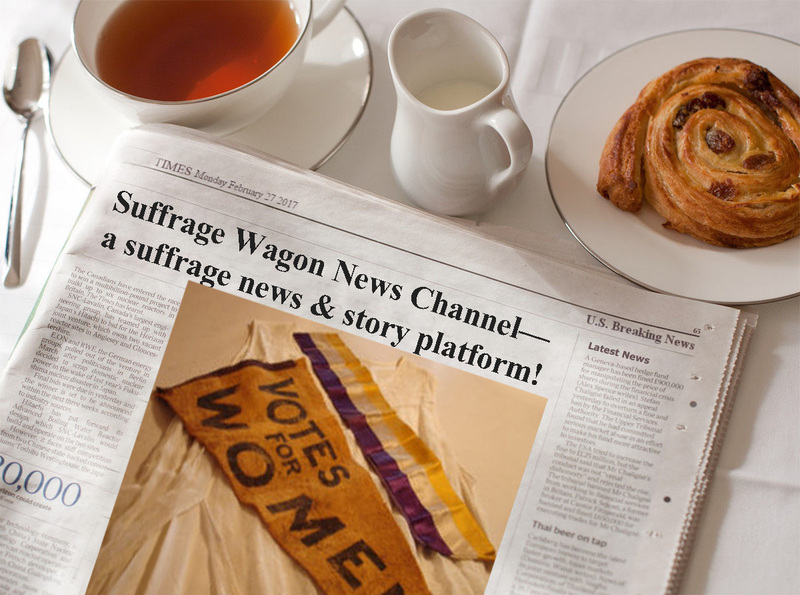 See article on Suffrage Wagon News Channel. The “Spirit of 1776” suffrage wagon Kearns used in Manhattan and on Long Island was exhibited at the NYS Capitol building during March 2017. It is now at the New York State Museum (Albany, NY) in the lobby to promote the institution’s large suffrage exhibition opening in November 2017 and running until May 2018. The Woodstock, NY angle on the 1776 wagon was highlighted in an article published on March 2, 2017 in Woodstock Times. Stop by Suffrage Wagon Cafe for special programs. Celebrate women’s freedom to vote at Suffrage Wagon News Channel. “Through the Eye of Marguerite Kearns” is a point of view column on Suffrage Wagon News Channel. Suffrage Wagon Cooking School has recipes and special demonstrations. Visit Seneca Falls & Long Island during 2017—New York’s suffrage centennial!